Begin your semester with a 2-night visit to London en route to Grenoble. This will allow you to relax, recover from jet lag and get to know your fellow classmates while touring England’s capital. Take a sightseeing tour with a professional guide who will point out some of London’s most famous landmarks including Buckingham Palace, Westminster Abbey, the Houses of Parliament and the Tower of London. Have time to explore the city on your own where you can take in the gorgeous parks and gardens, see a play in the West End or shop for vintage clothes at Camden Market. First, stop at the delightful hilltop village of Pérouges with a guided visit to the ramparts and winding streets. Next enjoy exploring the remains of the renowned Benedictine Abbaye de Cluny, once the largest and most powerful religious center in Europe. The town is also celebrated for its horses. In the evening enjoy a dinner with the group in Dijon. The next day, take a morning walking tour of Dijon, ancient capital of the Dukes of Burgundy, with its timbered buildings, impressive architecture and, of course, its reputation for exquisite cuisine (mustard, ginger-bread, etc). In the afternoon, visit the magnificent Hospices de Beaune, constructed in the 15th century, followed by a guided tasting, with a professional sommelier, in the cellars of a local wine producer. Early evening return to Grenoble. Includes accommodation, transportation, breakfast on Sunday, dinner on Saturday and visits as indicated. A minimum enrollment of 15 is required for the excursion to run. Spend a weekend discovering the Vallée de la Guisane in the scenic Alps. 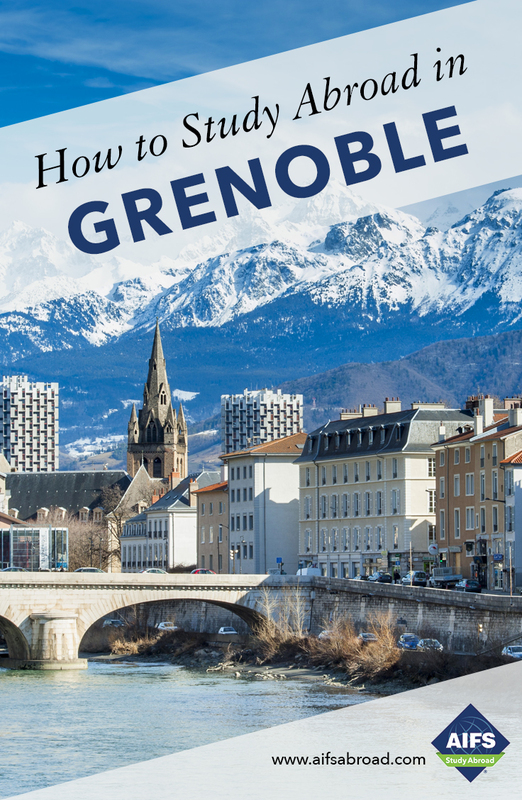 Depart Grenoble on Saturday morning by bus and travel to Monêtier-les-Bains, an Alpine resort with hot springs and famous for being a thermal spa since Roman times. You will stop en route to explore some of the local villages. After lunch travel on to Briançon, classed as a UNESCO World Heritage site and the highest town in all of Europe. Explore the medieval streets of this fortress town before heading back to Monêtier-les-Bains for a mountain dinner. Dinner will include specialties of the local area. On Sunday after breakfast you will head off to explore the mountains with snow shoes or cross-country skis with your mountain guide. Take a break for a picnic lunch and then return to Monêtier-les-Bains where there will be time to relax and bathe in the hot springs before heading back to Grenoble. Includes accommodation, transportation, breakfast, picnic lunch, dinner, sightseeing tours, entrance to thermal baths, mountain guides and snow shoe hire. A minimum enrollment of 10 is required for the excursion to run.